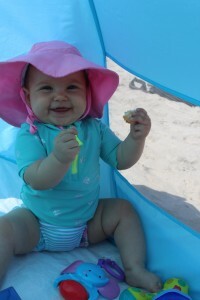 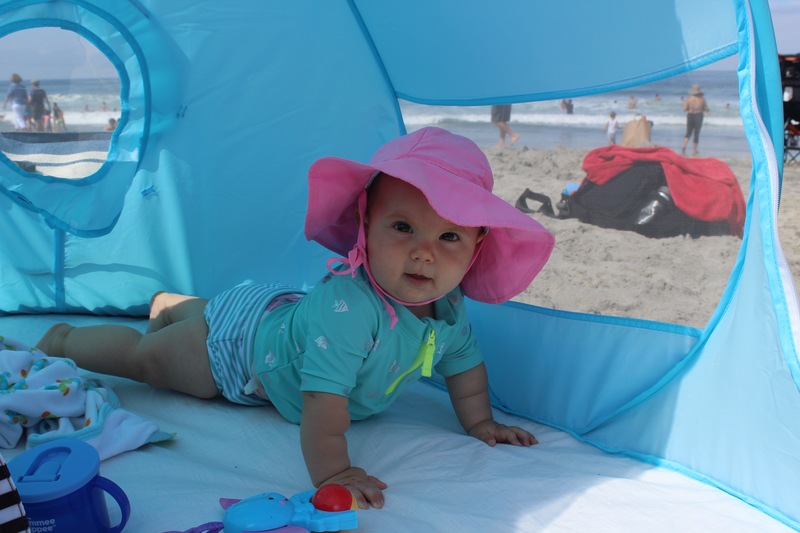 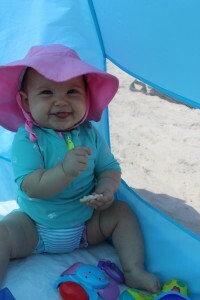 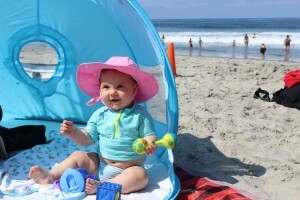 This summer was perfect for Baby B’s first beach trip. We live about a mile from the beach so it was an easy car ride down the street. 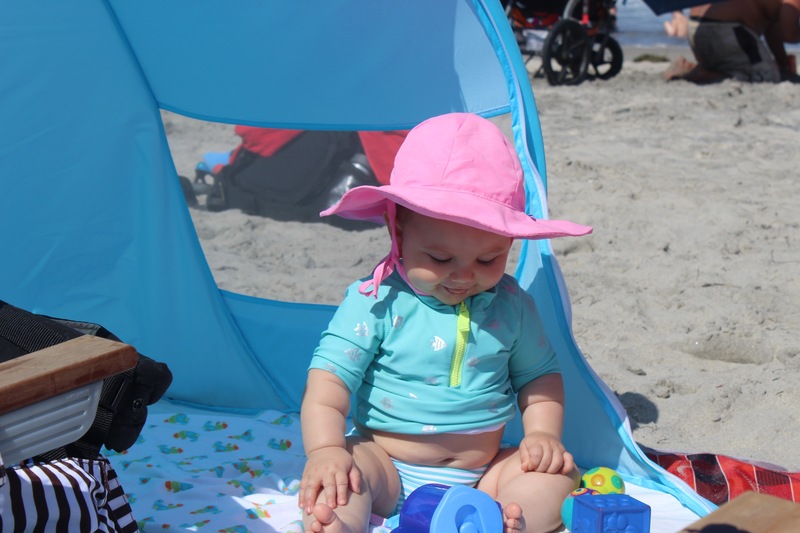 Living in SoCal beaches and pools are everywhere so we also started swim classes, but you can read more about that under parenthood (click here). I used the pop up canopy I purchased awhile back a total must have, brought a Mexican blanket, toys and snacks we were all set. 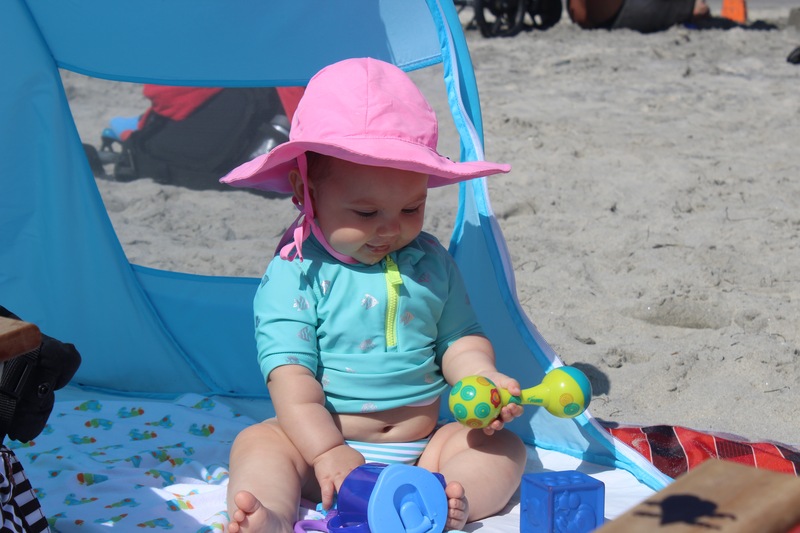 We arrived early like around 10am so she could take her nap at the beach and get in some good sun and ocean water before it got to hot for both of us. 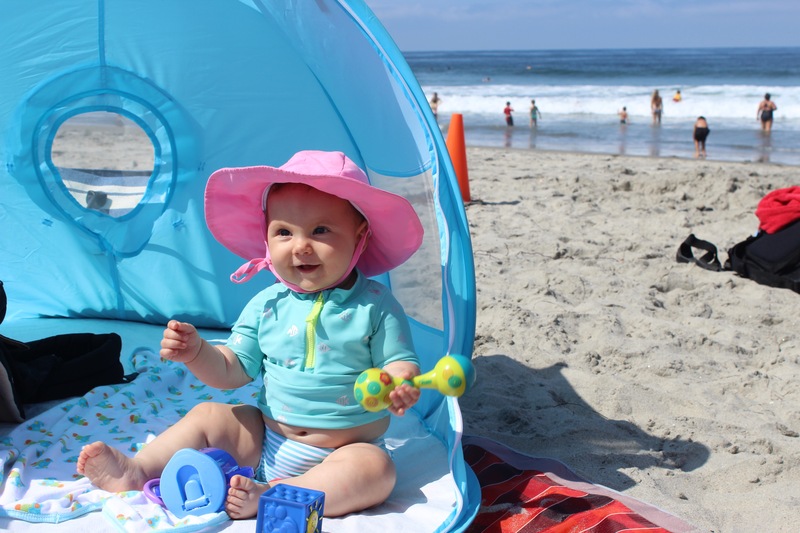 I swear summer starts later here in San Diego, like August to October.